Crews are still working to clear the scene after a freight train derailed Saturday morning in Oxford, Chester County. 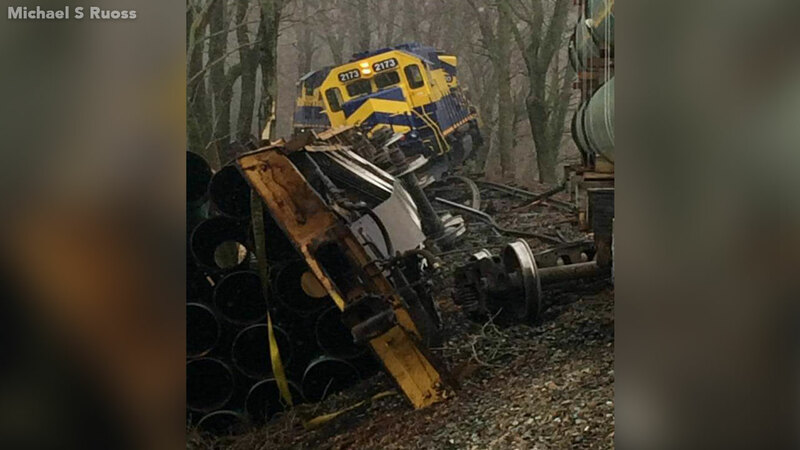 OXFORD (WPVI) -- Crews are still working to clear the scene after a freight train derailed Saturday morning in Oxford, Chester County. The incident occurred near Wilson Mill Road and Branch Road. Several cars came off the tracks, but it is not impacting any roadways or posing a danger.